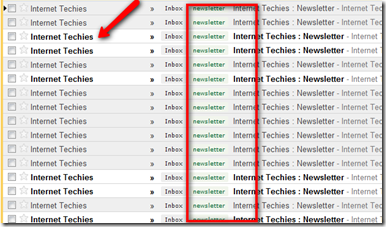 Gmail added a new feature called Labels in the mailbox by which you can manage your mails effectively. Labels work as a folder and it will also help in you in conversation. Once you’ve created a label, you can view all the messages with that label by searching, or by clicking the label name along the left side of any Gmail page. Select the message(s) you’d like to label by checking the box(es) next to the sender’s name. Select New label from the More Actions… drop-down menu. Enter the name of the new label in the text box, and click OK.
Click Edit labels at the bottom of the Labels box. Click rename next to the label you want to edit. Enter the new label name, and click OK.
You can see this box below the Gchat in your mailbox. Click remove label next to the label you want to delete. Confirm that you’d like to remove the label by clicking OK.
Click on the “Next Step” to Apply the Labels. Now hit the “Update Filter” button shown above. You will have the list of mails from your inbox which are labeled as provided by you. In future as well, the mails from “[email protected]” will be labeled as “newsletter” in my inbox. 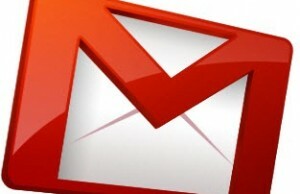 By using Gmail Labels feature, you can manage your mails as well as search them in a very short time. 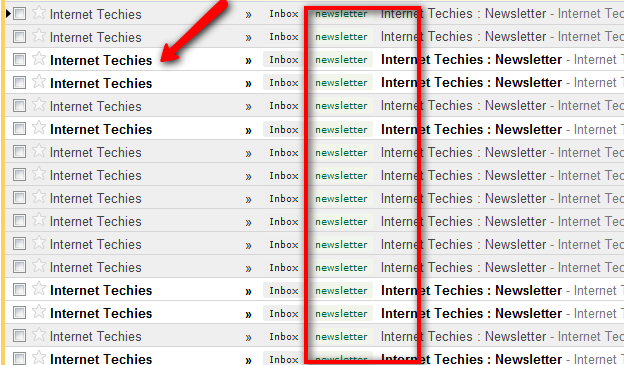 If you are not able to see this new feature in your Gmail mailbox, then refresh the whole page. It will appear beside the “Move To” option above the list of latest mails. If you find the post helpful to you, then please subscribe for the RSS feed of Internet Techies.